The vehicle used for drawing up these application docs was a USDM 1989 Nissan 240SX KA24 with a manual transmission. All factory electronics/ignition system components are in place and the factory wiring harness is in perfect condition. All stock sensors were used. 1- DIYPNPJ64-K Kit. This is the main DIYPNP Kit including the JAE style 64-pin connector and all components, case, etc. * � Remove or do not install R14 in this circuit. 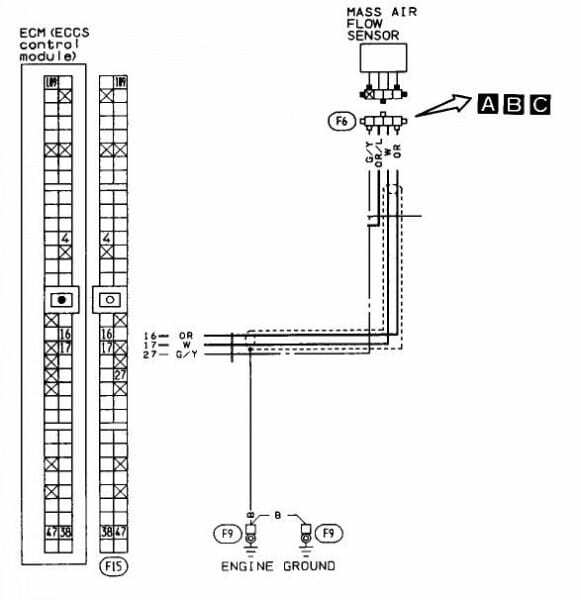 In the Jumper Notes above we’ve included jumpers for A/C clutch and fan activation using the ‘Input 1’ circuit. The Input for the AC system comes in from the A/C switch on ConnectorBoard pin 41. The output of the “Input 1” circuit gets jumpered to both 9 and 11 on the ConnectorBoard. These two pins will activate the A/C compressor clutch relay and the A/C condensor fan relay. You will need to leave R14 out of this circuit or cut out R14 if you installed it. Now you’ll do the same for the IAT. Select ‘Intake Temperature Sensor’ at the top in the drop down box. The DIYPNP allows you to disconnect the Mass Air Flow meter since it is not used in the fuel load calculation. When you remove the MAF, you will want to tape up the connector to protect it inside and out if you ever plan to re-use it. The stock intake air temp sensor is not located inside the air meter so there are no wiring changes to be made. The stock IAT sensor and location will not be adequate if you decide to run a turbo or supercharger. For best results, you will want an air-tight seal with the sensor placed in the intercooler piping, after the intercooler and before the throttle body. The temperature of the air as it enters the engine (not the turbo or supercharger) is what the ECU needs to know. We offer an IAT kit (sensor and weld-in bung) for either steel or aluminum piping. The MAF will need to be unplugged on cars that do not originally have an IAT sensor, and the white and orange wires used to send both the IAT signal and ground wires for the sensor back to the ECU through the factory wiring. These wires come into the ECU on pins 16 and 17. It does not matter in what order you connect the IAT wires to the MAF connector, or which of the terminals 16 or 17 you wire to IAT or SG (signal ground), the IAT sensor is not polarity specific. In short — We’ve provided you with the building blocks for an incredible EMS. You are however responsible for the implementation and your own successes or lack thereof, but rest assured that we’re here for you and we’re going to do everything in our power to make sure your project is a success.